Since she was the person who suggested I start a new "segment", I figured the least I could do was feature her dinner party style! Fellow creative blogger Kirsten is one cool cat; she's totally organized, stylish, and still down to earth. You can catch her on one of her blogs posting about modern architectural styles or DIY gifts... she's got an eye for both. 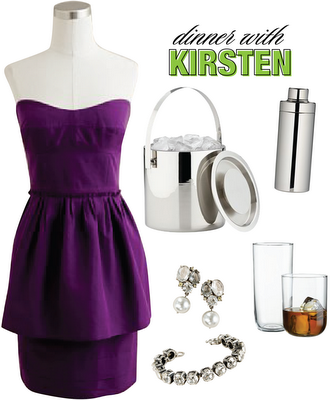 For Kirsten's gatherings, I have a feeling the initial charm will be obvious but the details (such as coordinating bar tools, crisp color scheme, etc.) will be the show-stoppers. 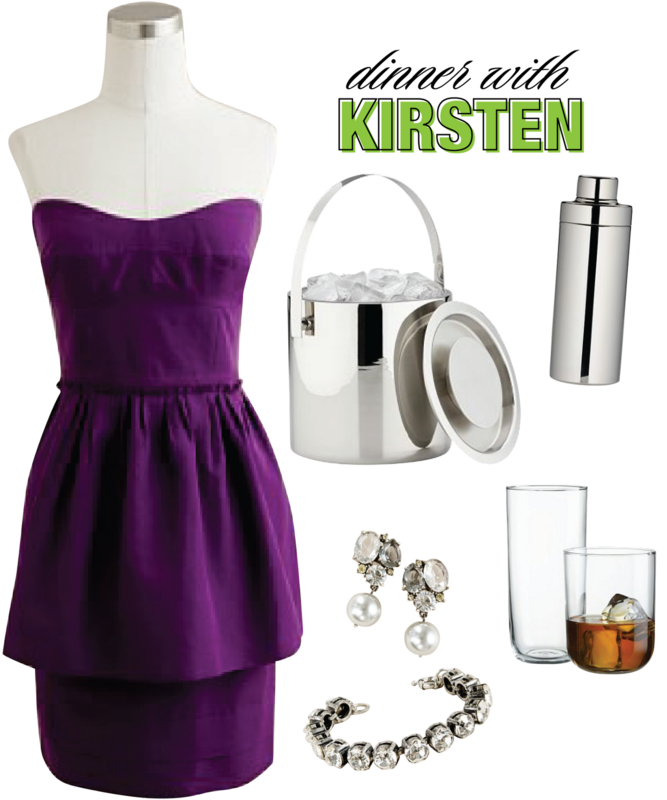 These are a few things I thought she would like if she was throwing a dinner party.